Wine is a Women’s World: In the U.S., women account for 58.1 percent of wine buyers, according to the Beverage Information Group. A Gallup Poll indicated that among adult drinkers 58 percent of women prefer wine, compared to 20 percent of men, whereas 55 percent of men prefer beer to 23 percent of women. Here’s the thing. No trip to Provence is complete without a visit to a winery, and the sooner that you make one upon your arrival the more your stay will be a respite from blandness (the reason you are here). There are many ways to go about it. 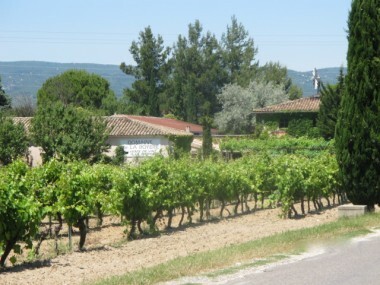 You can ask your gite owner or hotel clerk of a vineyard in the vicinity. 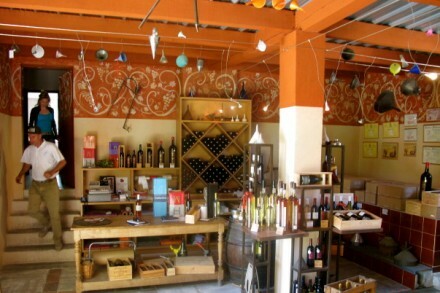 Or you can taste a locally-produced wine at the recommendation of a sommelier or chef, and if the vintage agrees with you, pop into the winery the next day. This is how some guests of Le Phebus in Joucas found there way to Philippe Gimel or Olivier B. after quaffing their wines. 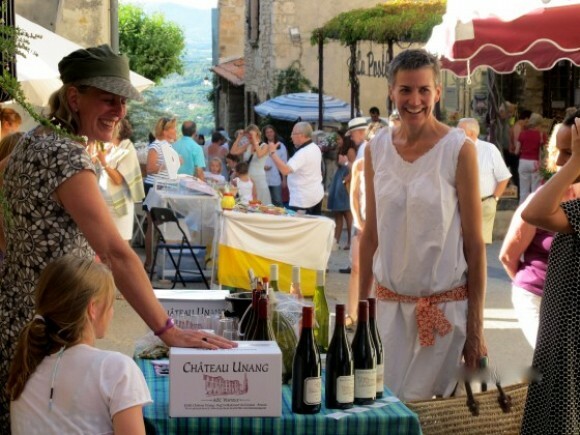 The sure deal for wine enthusiasts is to book an organized tour, either individual or small group, for a half or full day, visiting at least two vineyards in various appellations, such as those offered by Provence Wines Tours or Avignon Wine Tours. Now here’s a way to organize your own visits to wineries with a single criteria: women in wine. There was once a deluded but unshakable conviction that wine was about everything masculine. At a Paris dinner party or at a ski lodge in Chamonix Mont-Blanc, the cracking open of a great Bordeaux was a ritual of male bonding. Anne Hugues, a winegrower at the Domaine de la Royère, which produces 12 vintages at its vineyard in Oppede, and has a wine shop in Coustellet, had seen enough of just guys in wine. In 2004, she and Inter-Rhone President Michel Bernard came up with an idea of wine women-as-community on a Rhone Valley-scale togetherness called Femmes Vignes Rhône, or Women Winemakers of the Rhone Valley. The Femmes Vignes Rhône has more than 30 members taking in the entire range of wine related professions – growers, winemakers, oenologists, sommeliers, brokers, merchants, sales reps, marketing specialists, and journalists. The association aims to promote the work of women in the businesses of viti-and-viniculture, and supports the role of women in the traditionally masculine environment of wine. Present at numerous events for both professionals and the general public, in France and abroad, the Femmes Vignes Rhône enrich the knowledge and encourage the distribution of the Rhone Valley appellations, cultivating a simple and friendly approach to wine. When looking for vineyards to visit in the Vaucluse, you can consult the English language website of Femmes Vignes Rhône which lists all its members by appellation (see below) along with a description of their winery. Using the map on the website, you can arrange your own tour of the estates of the Rhone Valley tended to by women seriously into wine. 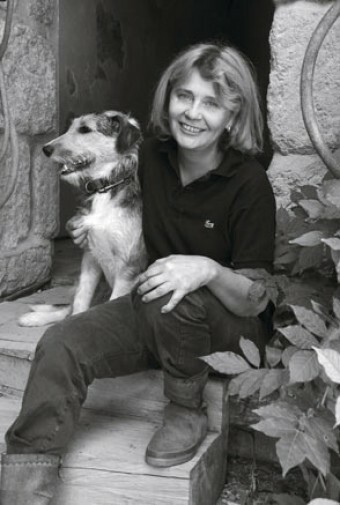 Women wine maker Brigitte Noël (photo l.) at the Château Noël St Laurent, is president of the Les Compagnons des Côtes du Rhône, an organization that runs the “Ban des Vendanges” in Avignon on Sept 1. The Château Noël St Laurent has a precise division of labor: Didier Noël, who converted from tax specialist to vigneron, looks after the vineyard while his wife Brigitte, who trained at the University of Wine at Suze-la-Rousse, handles the vinification. The Château Noël St-Laurent is situated 6 miles southeast from Avignon at a 13th-century castle that has been in the Noël family since the 1940′s. A fabulous cuvee of the Château is the “Matador,” 1/3 Grenache, 1/3 Syrah and 1/3 Mourvèdre, deep ruby in color with a nose of pepper and black cherries and black fruit and round tannins on the palate.With a limited production of 1000 bottles, the 2006 vintage is a steal at 19 euros.